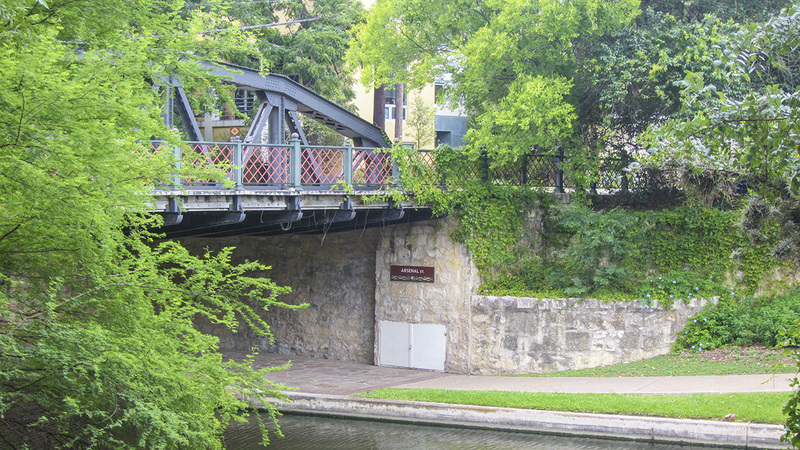 Located just south of downtown and bounded by East Cesar E. Chavez Boulevard to the north, East Arsenal Street to the south, the San Antonio River to the east, and South Flores Street to the west, this twenty-acre complex was established by the U.S. Military in 1859 to store munitions and other supplies. Briefly controlled by the Confederacy during the Civil War, the arsenal grew over time to meet the military’s changing needs. Officially closed in 1949 when it was bisected by Main Avenue, the site was subsequently used for government offices and reserve military training until 1976. 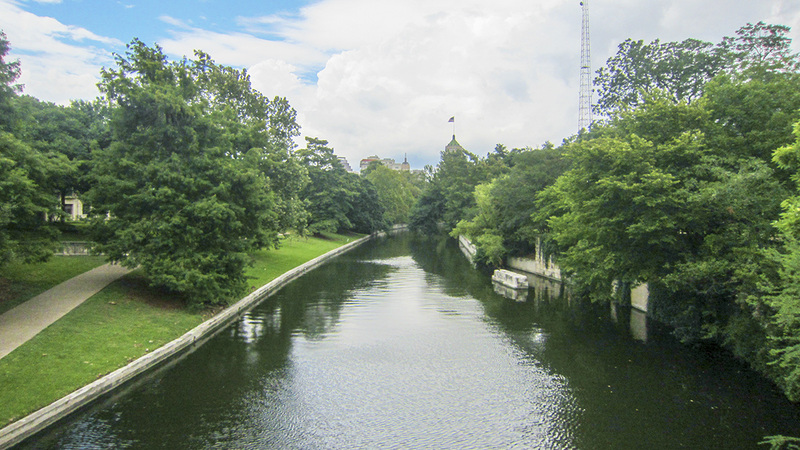 Now integrated with the city’s urban fabric, the former complex is accessible via the River Walk along its eastern boundary. 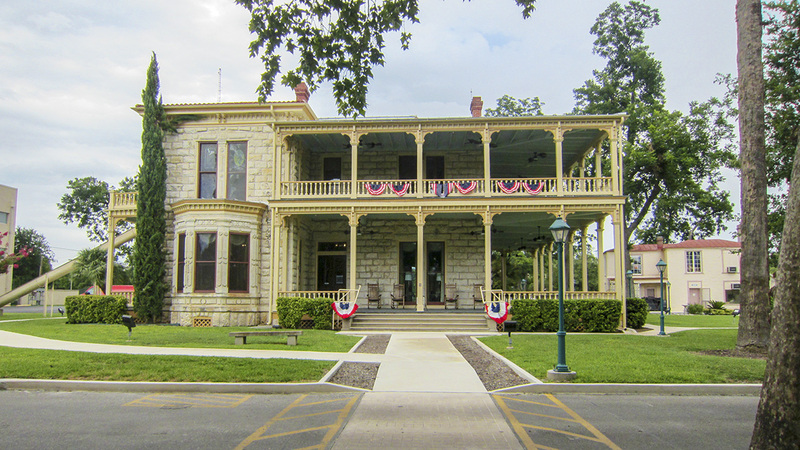 Six nineteenth-century arsenal structures remain today: an office building (1860), commanding officer’s quarters (ca. 1883), servants’ quarters (ca. 1883), a stable (ca. 1873), a munitions building (ca. 1860), and a storehouse (ca. 1883). 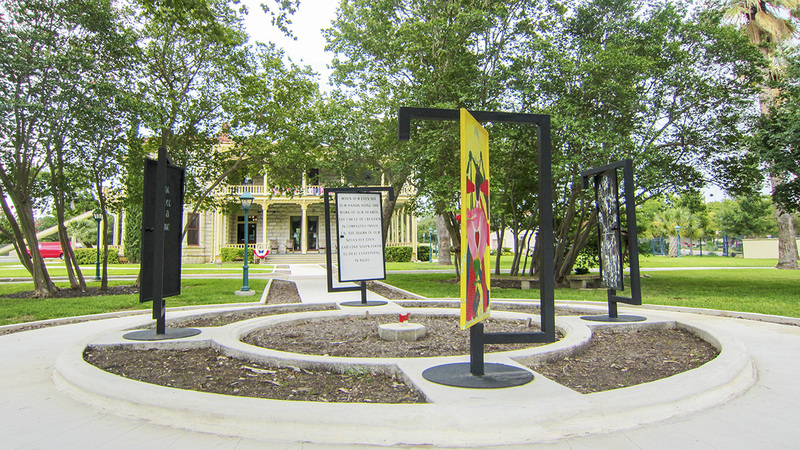 Surrounded by manicured lawn punctuated by mature shade trees, the Commander’s House is located on the northwestern corner of the district. 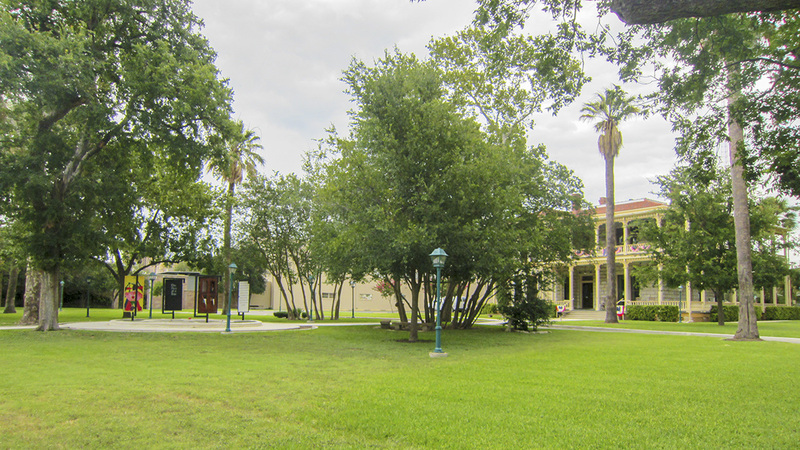 The historic structure and its 2.3-acre parcel, now known as Commanders House Park, was transferred to San Antonio Parks and Recreation in 1972 and has served as a Senior Citizen’s Community Center since 1978. 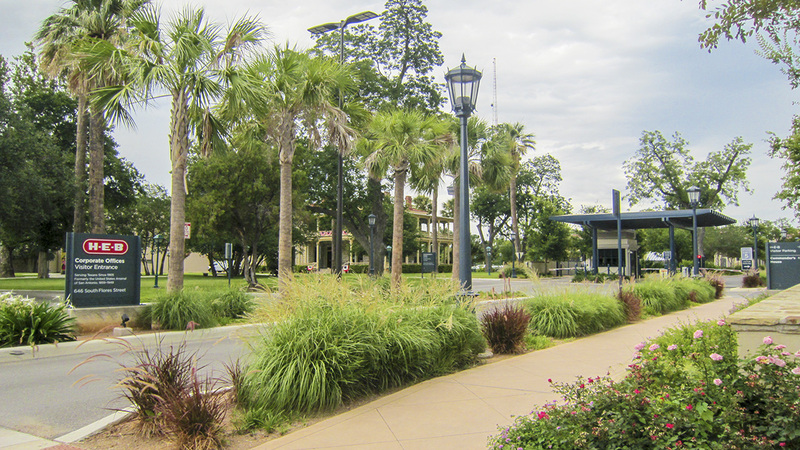 In 1985 Hartman-Cox Architects designed and constructed the corporate headquarters for H-E-B Grocery Company on the site’s southeastern quadrant, renovating four- and five-story warehouses added in 1916 and enclosing the munitions building and stable. 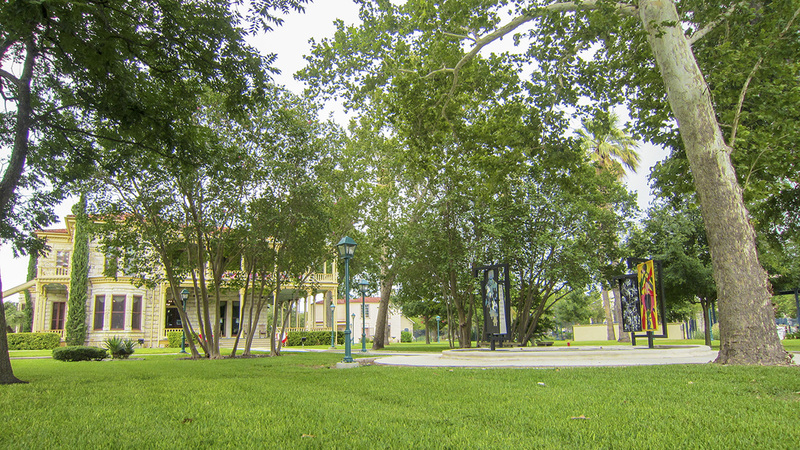 Parking lots interspersed with mature shade trees extend north and west of the headquarters complex and engulf the remaining arsenal structures, including the rectangular limestone office building, which houses a visitor center. 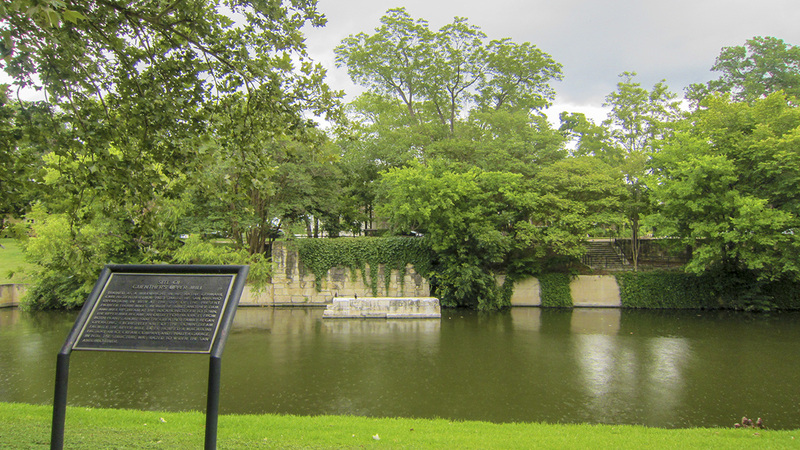 The San Antonio Arsenal was listed in the National Register of Historic Places in 1969.